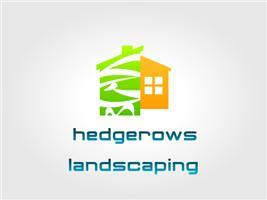 Hedgerows Landscaping - Garden Services, Landscaper based in Crowborough, East Sussex. For more than 15 years we have been listening to our clients to deliver their ideal garden. Our dedicated team combines horticultural expertise with quality workmanship on both hard and soft landscaping projects and every aspect of grounds maintenance. As a family start-up we built a strong base of loyal customers who continue to rely on us, this has allowed us to grow our team and widen our offering. We can work with our clients to transform an area completely, from simple planting advice to land clearance and re - landscaping. We pride ourselves on our friendly yet professional approach. All staff are uniformed, we are experienced in working in both a domestic setting and on comercial projects and will happily work alongside other contractors to achieve results on time and on budget.